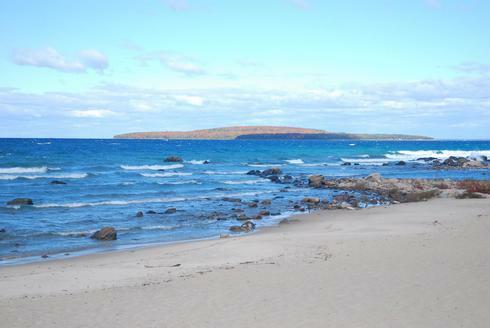 Join us for a fun & activity filled 3-day camping weekend in the 30,000 Islands on Georgian Bay. No prior camping experience is required; this camping trip is suitable for beginners and for those with limited camping experience. 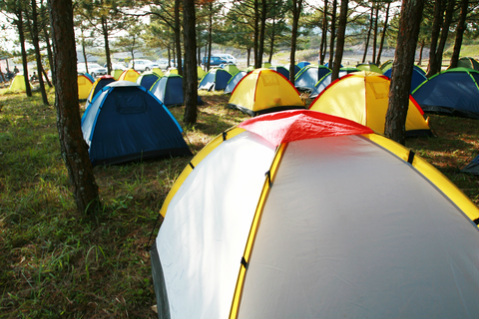 If you do not have a tent, a small tent and air mattress, suitable for one person, can be rented for a nominal fee. We went to this private campground in Parry Sound last year and on the basis of the many positive reviews and requests for a repeat visit, we are going back to the same place for our annual camping weekend this year. Our private campground has clean bathrooms, proper toilets, running water, electricity, an inground pool, WiFi and a store selling basic groceries and necessities on the camp grounds. We have a private section of the campground reserved just for us which means that the bonfires, toasting marshmallows and hot dogs and laughter and conversations can go on all night long without disturbing other campers in the park. Even more fun!! $179 per person 10 and older. $149 per child under 10 years old. 3-day trip to the Parry Sound area. Round trip transportation to and from campground on school bus. Complimentary bottled water, pop, juices and snacks during bus journey. Admission to the private campground and tenting fee and access to all amenities at the campground including use of bathrooms, showers, heated inground pool, trampoline, laundry room, camp activities. Cold cereals and continental breakfast items on both mornings. Cups, plates, utensils and cooking tools etc, water & ice. Admission to Discovery Harbour and guided tour. 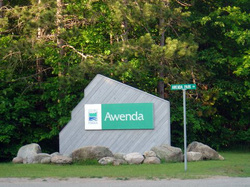 Admission to Awenda Provincial Park. A sleeping bag or sheets & blankets. We will be travelling in a school bus for our 3 day weekend. The bus will also be available for all of our local side trips. Our first stop will be the beautiful town of Penetanguishene. Here we will get some lunch from one of the restaurants, cafes and pubs along Main St.
Then we visit famous Discovery Harbour for a guided tour. Discovery Harbour traces its roots back to the original British naval and military base in Penetanguishene, built to safeguard access to Upper Canada after the War of 1812. Today's Discovery Harbour is a picturesque historic site situated on beautiful Penetanguishene Bay. We are going to enjoy a tour amd see the on-site activities that reflect life and work at this 19th century outpost. Discovery Harbour is also the homeport of the magnificent replica ships H.M.S. Bee and H.M.S. Tecumseth. After our tour, we board our bus and head to the campground, check in and set up our tents. Then relax. In the evening, we will take the school bus and go into Parry Sound for dinner at one of the casual restaurants that's received great reviews. Trip is completely optional and if you wish to stay at the campground and cook your own food, you are welcome to do so. We return to campground after dinner, start the bonfire, toast marshmallows and hot dogs and tell ridiculous scary stories that no one will believe! We will wake up, have some muffins and fresh coffee from our Keurig coffee maker (Yes, our camping trip includes a Keurig coffee maker and a fridge to store the milk and cream! How could you possibly have a camping trip without fresh hot coffee and a fridge?? LOL). 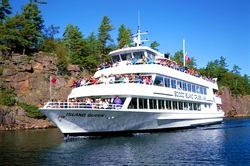 After breakfast we go into Parry Sound and for those who are interested, you can take the 3 hour cruise through the 30,000 Islands on the 550 passenger Island Queen cruise ship and discover the unbelievable beauty of this remote region of Canada. This trip is optional and costs $38 per person + tax. The highlight of the trip is the Saturday evening group picnic dinner under the stars. Dinner is included in your trip price. We all help set up the picnic tables and the food and then we all sit outside, with christmas lights strung through the trees, and have a wonderful dinner together. Dinner is followed by the bonfire, marshmallows, sing-along and story and joke telling around the campfire. We have a cold continental breakfast following which we pack up our tents and prepare to leave the campground. We stop at a local fast food restaurant for some early lunch. And then we go to Awenda Provincial Park for a hike of this beautiful park on the shores of Georgian Bay. After our hike, we head back to Toronto with a stop in Barrie for an early dinner. We will have 3 pickup locations in the Toronto area. Pickups are also available along Hwy 400 North and in Barrie if requested. We leave Toronto on Friday morning at approximately 9:00 AM. Actual pickup times vary by stop and will be sent out in the final email to all registered attendees, 2 days before the trip. We return to Toronto at approximately 9:00 PM on Sunday night. Children 2 and older are welcome on this trip. Please note that this campground is close to railway tracks. Freight trains use these tracks and it's likely that a train will go by on these tracks 1-2 times per night. You may wish to take that into consideration if you are a light sleeper and think you will be severely bothered by train noise waking you up.